Show up for next level farm-to-table dining at Coltivare (pronounced cul-ti-var-eh) on White Oak Drive in The Heights. Coltivare’s casual, charming “dinner only” space on delivers rustic Italian cuisine via the talents of award-winning chef Ryan Pera, along with Agricole Hospitality partner Morgan Weber. The onsite gardens along with a commitment to locally-sourced/sustainable ingredients, a thoughtful bar and wine program, plus stellar service directed by industry veteran Jeb Stuart make it a popular (and worthy) dining destination since opening in 2014. It’s first come, first served. Reservations are not available, and party sizes are limited to six max, given Coltivare’s intimate dining room and covered patio (heated and cooled, depending on the season) set alongside the garden. Upon check-in, guests are guided to the garden, where cocktails are served while waiting for tables. The picturesque setting includes near-extinct heirlooms planted and incorporated into the seasonal menu. Pera and Weber have developed large seed bank that’s commercially unavailable, including Hasting’s Prolific corn, Jimmy Red Corn and exotic bean varietals. This all adds up to cuisine that is incredibly fresh, flavorful, and truly seasonal, with an always-evolving menu of innovative starters and small plates including charcuterie, plus beautiful salads, pastas, pizzas and mains. It’s definitely Italian in inspiration but decidedly influenced by the flavors of Texas and the gulf coast. Agricole Hospitality also owns Revival Market, around the corner on Heights Boulevard (along with Eight Row Flint on Yale and 11th Street), which also serves as Coltivare’s meat market and charcuterie source. A great example of the synergy and commitment is demonstrated by the Bolognese pasta dish served at Coltivare, which is made in the classic Italian way, utilizing all Texas meats. Whole animals are delivered to Revival—44 Farms beef, Tierra del Sol lamb, Chappapeela Pork—to be broken down and ground in-house to make the Bolognese. Boxed meat is never used. 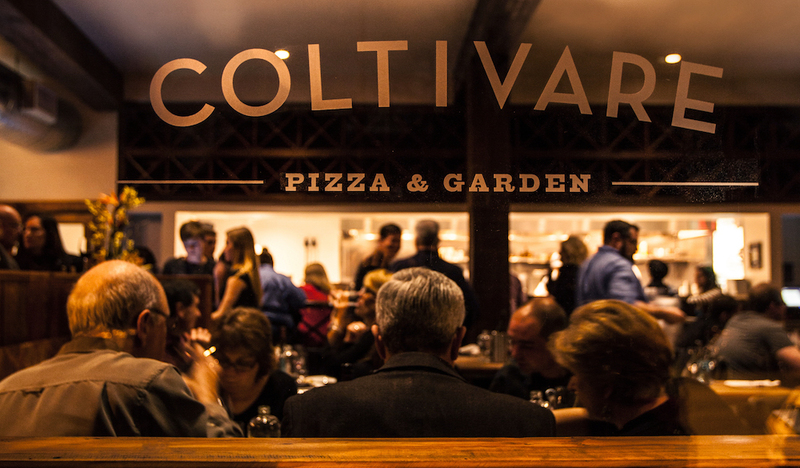 Since day one, Coltivare has used sorghum—a nod to the South—to sweeten their pizza dough which is cooked in the open kitchen’s wood-burning oven with toppings ranging from standards like mozzarella, tomato and basil or pepperoni (made fresh at Revival Market) to creative toppings like the spicy option loaded with shredded pork, local peppers, onions, chiles, smoked cheese and fennel pollen. Coltivare purchases their mozzarella from the Mozzarella Company in Dallas, one of the first cheese makers in the U.S. to make Italian cheeses with American milk. The simple yet divine Black Pepper Spaghetti has been written up on numerous local and national “best of” lists. 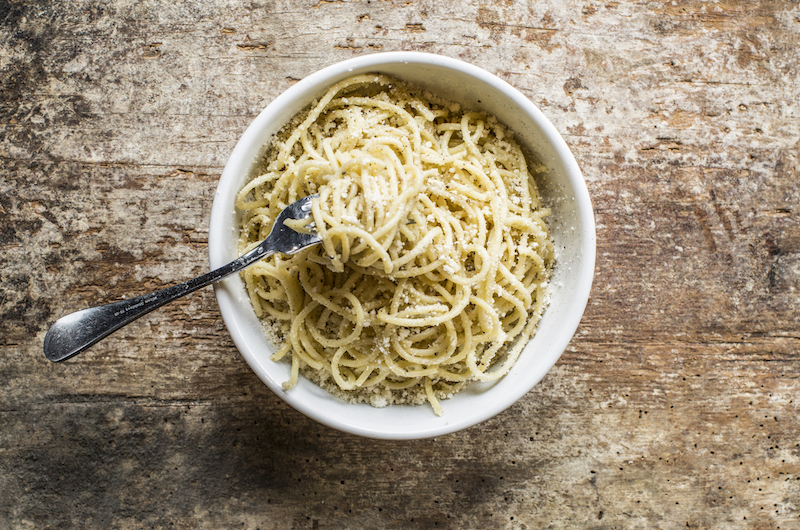 It features housemade pasta, divine olive oil, extra-aged Tellicherry peppercorns, and fresh parmesan to a stellar result. Seasonal gnocchi, ravioli, and other pasta dishes deliver just as well. Other musts include menu-staples of wood-grilled chicken, caramelized to perfection in the special Spanish oven, served with pine nuts and pickled grapes, or the whole wood-grilled fish with sautéed greens. Don’t miss the seasonal fruit Crostada (think strawberries or peaches in summer, pears in the fall), the rich chocolate panna cotta with toasted Italian meringue, or the daily selection of house made gelato and sorbets.